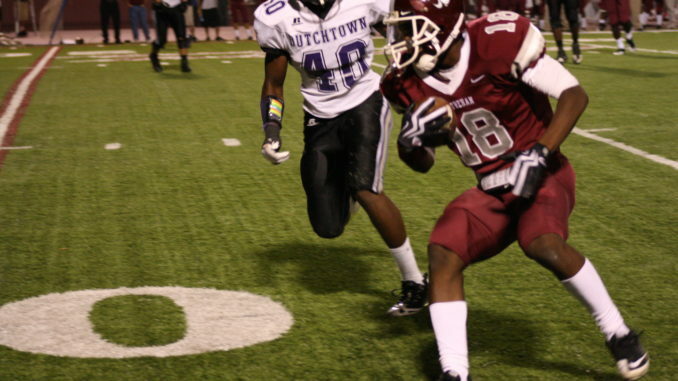 The Destrehan Wildcats had the opportunity to give the second-ranked Dutchtown Griffins more than they could handle last Friday night. But two costly fumbles swung the momentum of the game and the Wildcats came away with their third loss of the season. “We’re disappointed, that if we win the turnover battle, we played well enough in all three phases to win,” said Destrehan Head Coach Chris Stroud. 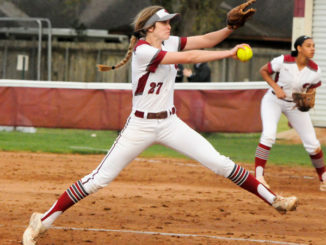 But the game may have not been the biggest loss for Destrehan on Friday. Late in the game, wide receiver Rickey Jefferson went down twice with a leg injury. After the second instance, he had to be helped off the field. Stroud says that Jefferson will not be able to play this Friday and that the initial prognosis after Jefferson visited the doctor is not good. Jefferson is the team’s leading scorer and playmaker. On Friday after an early 74-yard touchdown run by Dutchtown running back Landon Collins, Destrehan took control of the clock and implemented an uncharacteristic smashmouth-style offense. Mixing a pass in here and there, the Wildcats pounded the Griffin defense with running backs Kevin Smith and Mark Trudeaux. Stroud says that they planned to run the ball against Dutchtown anyway, but when they started having success they stuck with it. The two long first half drives were impressive, taking up huge chunks of the clock and lasting for 67 and 71 yards respectively. However, both ended in fumbles inside the 10-yard line. Without those, the Wildcats may have been ahead by as much as 14-7 at the half. Instead, Destrehan went into halftime down 7-0 and it only got worse as Dutchtown scored three second half touchdowns to take a 28-7 victory. The Wildcats finally got on the board in the fourth quarter on the backs of quarterback Dillon Dent and Smith. Backed up deep in their own territory, Dent was able to hit Jefferson on a 56-yard reception to take them into Griffin territory. Nine plays later, Smith punched it in for a 1-yard touchdown run. That capped the night for Smith who finished with 95 yards on 28 carries. 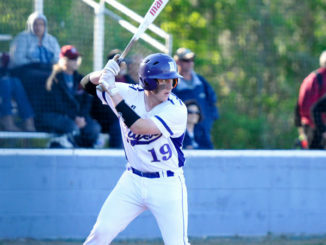 This Friday, the Wildcats face another top ten opponent in the Higgins Hurricanes. 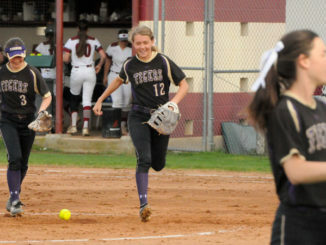 But they are also entering into the most important part of the season: district play. Higgins is 3-1 and is coming off of a close comeback victory over Brother Martin. The Hurricanes run the spread like the Wildcats, so both defenses should be adept at defending it. But Stroud’s main concern is Higgins star quarterback Cedric Jackson. “Their O-line is better than people give them credit for, but Cedric Jackson is super quick and it’s like trying to tackle a magician…he just disappears,” said Stroud. Hurricane running back Darrell Williams has been a nightmare for opposing defenses as well this year with six touchdowns. The Wildcats will need to keep both of those players from making big plays and they will need some big plays of their own without their biggest playmaker, Rickey Jefferson. Stroud is optimistic that the Wildcats can come away from this game with a win. “Ideally we want to have 60 to 40 percent rushing yards, but the key is winning the turnover battle,” he said. The Wildcats will host Higgins this Friday night at 7 p.m.